Hi, do you still have the stock? Yes we do at our store in Menlyn Park. Get hold of us on 012 348 3844 if you would like anymore information. can you please give the description of the material. It is hard to describe and has lots of elements. 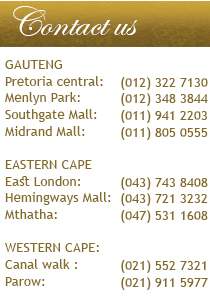 Maybe you should pop into one of our stores closest to you and come and see it for yourself. Your products are stunning. Do you accept lay-byes? Love it do u have it in gold ? 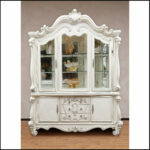 I would like to buy Lady Beatrice dinning table and chairs , cabinet and Bed Pauline 9200 on lay by. Can you please tell me how much are the instalments and for how long..
Could you kindly provide your e-mail address or a number and one of our sales consultants can get in contact with you. Please advise when the cabinet will be available (Cape Town) to purchase. sent me catalogue to view and select. Will you deliver to Durban? There are 2 cabinets at the back. R29999 is for the big or small one? And how long does it take to deliver around Pretoria? The big one is R29999 and the buffet with the mirror is R19999. We can deliver to you as soon as we have a chance. Usually 2-3 days after we have received payment. It could be faster or slower depending on the deliveries scheduled already. And it would be a R650 delivery fee to Pretoria which includes them assembling it all for you. Yes you can. An extra chair would be R6999. 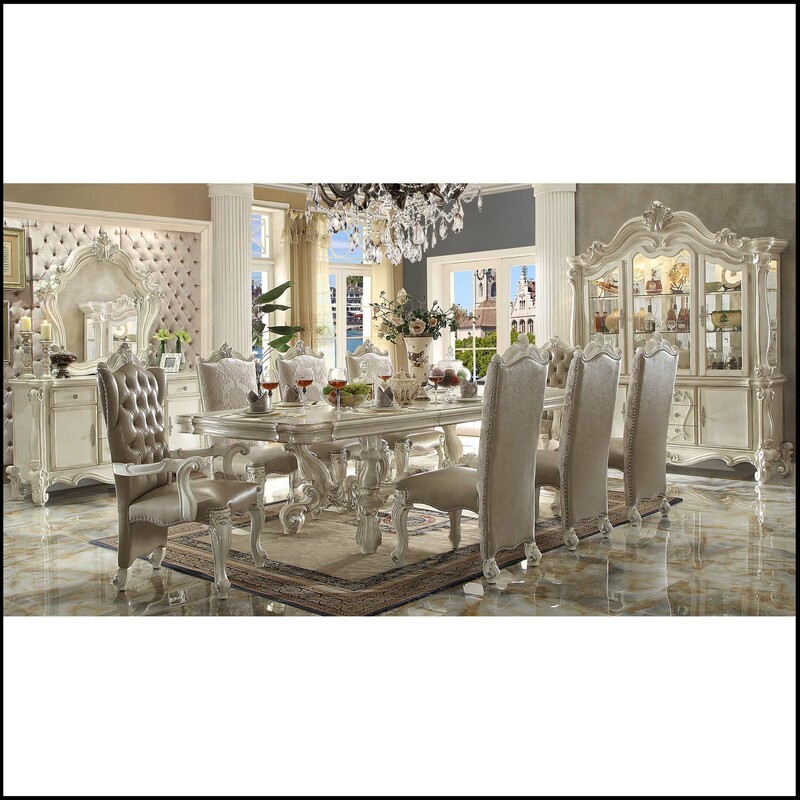 You are able to extend the table which makes it 3m long which can accommodate 12 seats. This is a stunning suit, can you please inform me when its on special. 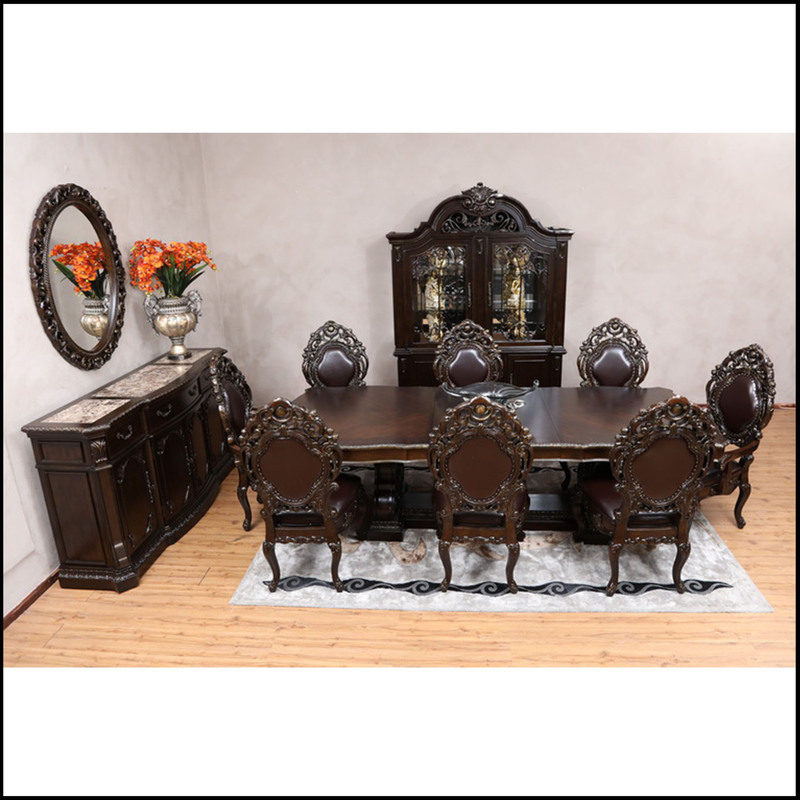 Could you please provide an estimate for 8 chairs and the table in the Lady Beatrice? I do not need the dressers. Also mention the price for additional chairs. This table comes with 8 chairs. 6 normal and 2 arm chairs. The price of this is R59999. 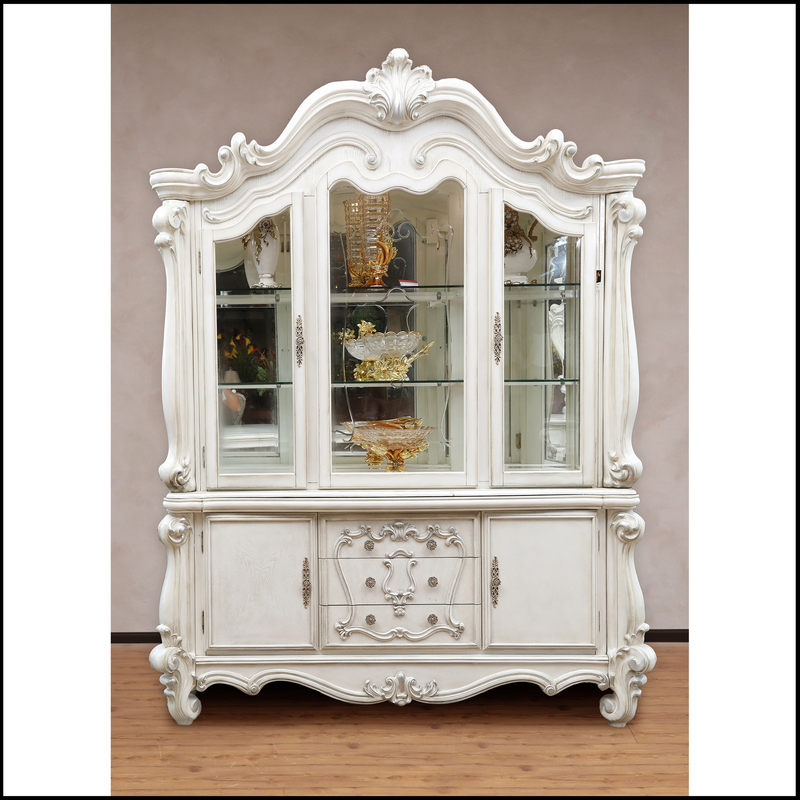 The buffet and cabinet come at an additional price. If you you would like more chairs the normal ones would be R6999 and the arm chairs would be R7500 each. I will e-mail you now. Where are you based and would you need delivery? 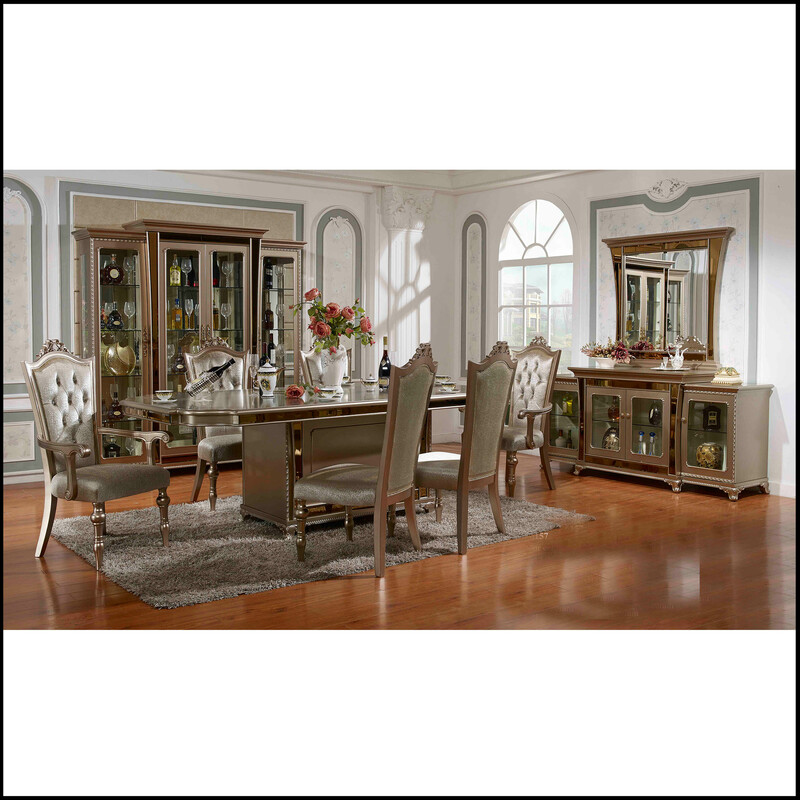 I would like to know if you have the Lady Beatrice Dining room set in store?